One of the prime areas in a home for breeding filth and grime is the bathroom. 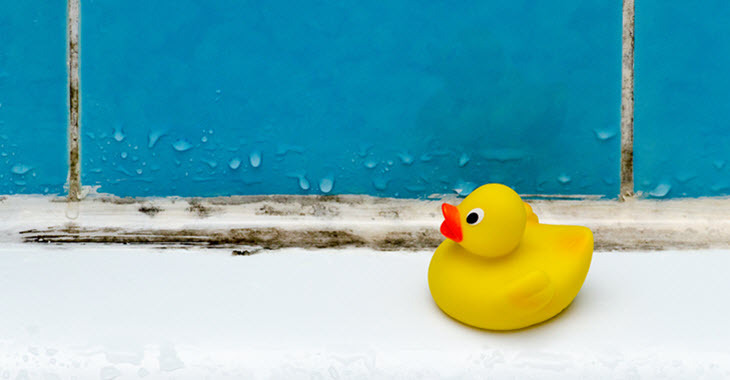 The consistent moisture, often lack of ventilation, and sheer nature of the space contribute to why bathrooms are often the most algae- and mold-prone rooms of a home. Taking the necessary steps to prevent against these issues is important for your overall comfort, but has other benefits that you may not have thought of. In this article, we’ll go over the basics of bathroom cleanliness, including what you can do to keep your bathroom clean and algae-free all year long. Bathroom areas must be kept clean on a regular basis for many reasons, but one important reason is to prevent invasive, troublesome conditions such as algae or mold growth. When bathroom spaces aren’t kept clean, they can incur damage that is difficult and often costly to repair. Use the right cleaning products – bathrooms often require harsher, more heavy-duty cleaning products to kill bacterial and fungal particles that can turn into mold and algae. Be careful to use cleaning products that achieve a balance between adequate cleanliness and refrain from damaging materials such as flooring and countertops. Adhere to a cleaning routine – come up with a cleaning schedule and try to stick to it—the more organized we are in our methods and routine the more likely we are to follow through with it on a regular basis. Establish cleanliness “rules” – for households that have more than 1 individual living under the same roof, it’s important to get everyone on the same page with cleaning routines and practices. Establishing cleaning “rules” is a good way to ensure that whoever uses the space shows responsibility for caring for it. Install bathroom fans – ventilation is key to avoiding algae and mold buildup, as moisture is the enemy. Installing a bathroom fan or a small window can increase the ventilation to avoid condensation accumulation in particular areas of the bathroom. Hang rugs and towels to dry – don’t let those moist, damp towels and rugs pile up in the corner! The longer they sit there, the more likely they are to mildew and spread moisture to flooring and other areas of the bathroom. Hang towels and rugs to dry after using them to avoid moisture accumulation. Keep up with bathroom upkeep – the more care you put into your bathroom space, the more you’ll be able to enjoy it for years to come. While sometimes it’s inevitable to avoid pipes bursting or water leaks, the more attentive you are to your bathroom the more likely you are to notice the early signs of potential issues that could lead to mold and algae growth. Here at Kitchen Emporium, our bathroom designs are always well-thought-out. Our highly experienced contractors utilize home remodeling techniques that are sustainable and specific long-term solutions for avoiding common household issues like algae or mold growth. 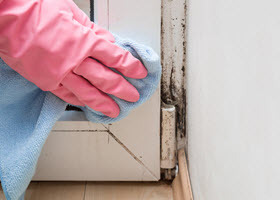 Although all bathrooms are susceptible to moisture buildup, in the Southern California areas like the San Fernando Valley, San Diego, and San Marcos, certain locations are more prone to specific problems like algae and mold growth. That’s why we carefully plan our bathroom designs based on our clients’ individual needs and location to ensure it lasts a lifetime. To learn more about our strategies to help prevent algae or mold growth, please contact one of our helpful professionals today.